It's time to make a gift tag - either on it's own or as part of a card. For this one I used CAS-ual Fridays Scallop Tags. I blended a distress ink background and embossed the leaf image in gold from Pretty Posies. 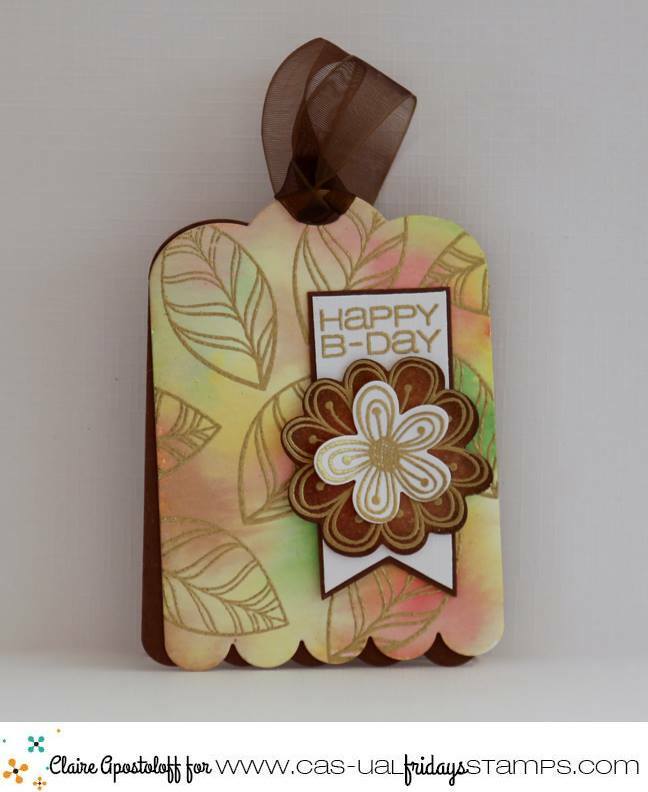 I then added a couple more blooms from the same set, which have been die cut using the matching Posies Fri-dies. The sentiment is from Bold Wishes. 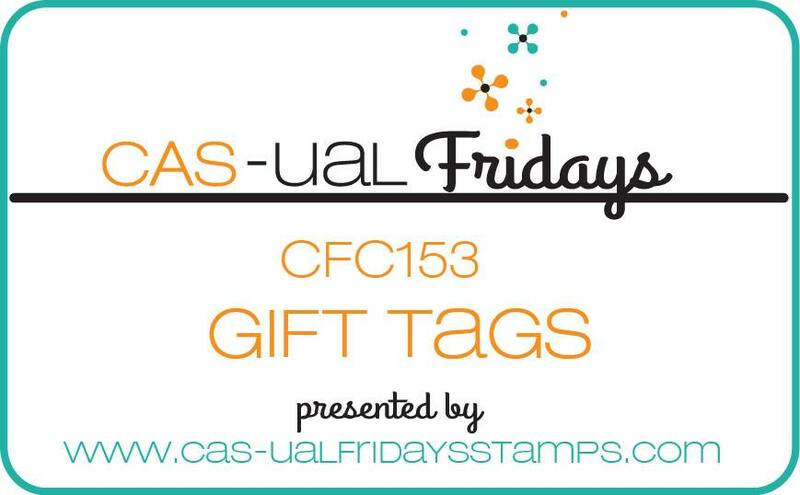 So now it's your turn to get stamping - you have until Tuesday 9th August to link up your tags to be in with a chance of winning a CAS-ual Fridays gift certificate worth $25.00. Use CAS-ual Fridays products as the main focus of your tag or card and Michele will even double the prize! For some more inspiration using CAS-ual Fridays products, make sure you check out the gorgeous projects that the rest of the DT have made won't you? Oh, this is beautiful! I love the leaves stamped on the tag! This is GORGEOUS Claire, what incredible colors! !